Studies have shown that having an experienced Advocate representing you will increase your chances for winning your Disability case. Individuals living in Michigan that are seeking to file or appeal their Social Security Disability claim should contact Disability Specialist Center, LLC at (248) 788-6840. The definition of disability used by Social Security is “the inability to engage in any substantial gainful activity by reason of any medically determinable physical and/or mental impairment which lasts or is expected to last 12 months.” There are numerous medical conditions that may qualify an individual for Social Security Disability benefits including chronic back pain which can be disabling. Some examples of medical conditions causing back pain are Degenerative Disc Disease, Osteoarthritis, Herniated Discs and Spinal Stenosis. 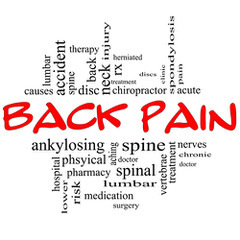 The condition causing back pain should be documented by test results such as MRI’s and/or x-rays since Social Security will review the tests results, treatment notes and physical functional limitations (sitting, standing, lifting) noted by your Doctor. Social Security will also review the treatments that you have tried (physical therapy, pain management, medication). It will also be important to look at how the pain affects your daily activities and whether the symptoms of pain and the functional limitations are consistent. Chronic pain can also affect your mental capabilities needed in performing a job. For example, the pain may affect your ability to remember and concentrate. Social Security will review your records and functional limitations and determine whether you can perform your past work or any other work in the national economy. Do not give up if your case is denied at the application level. In Michigan, the next level of appeal is the hearing level.